Classic Marble Corinthian Style Column. 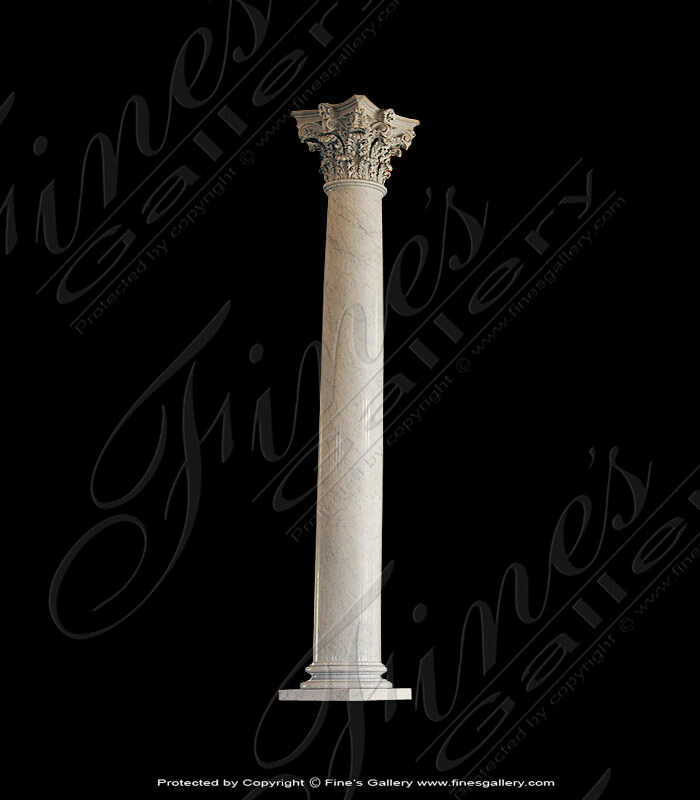 This elegant Roman fluted column is capped with a classic corinthian style capital. Pictured in a light beige travertine at just over 9 feet tall. 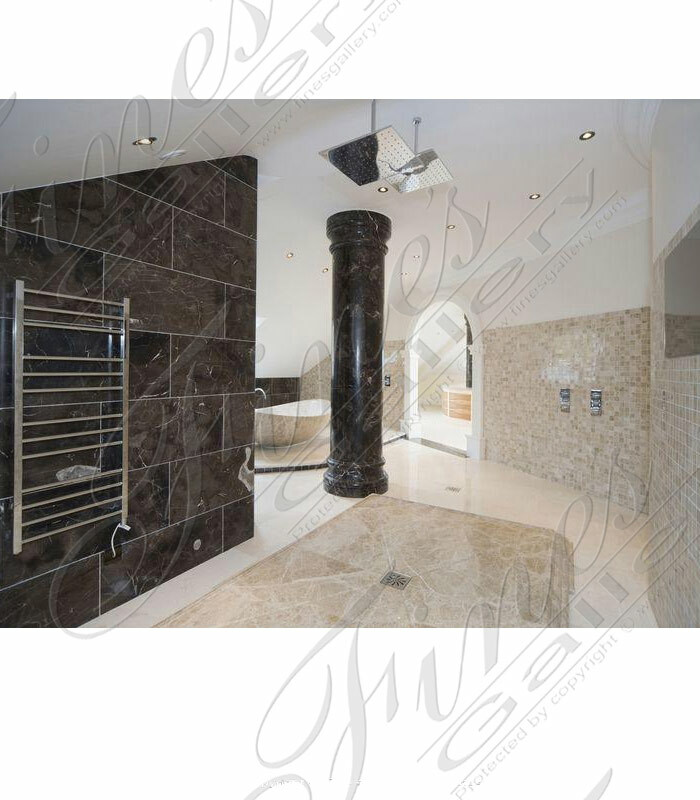 Made to order in your preferred natural stone. 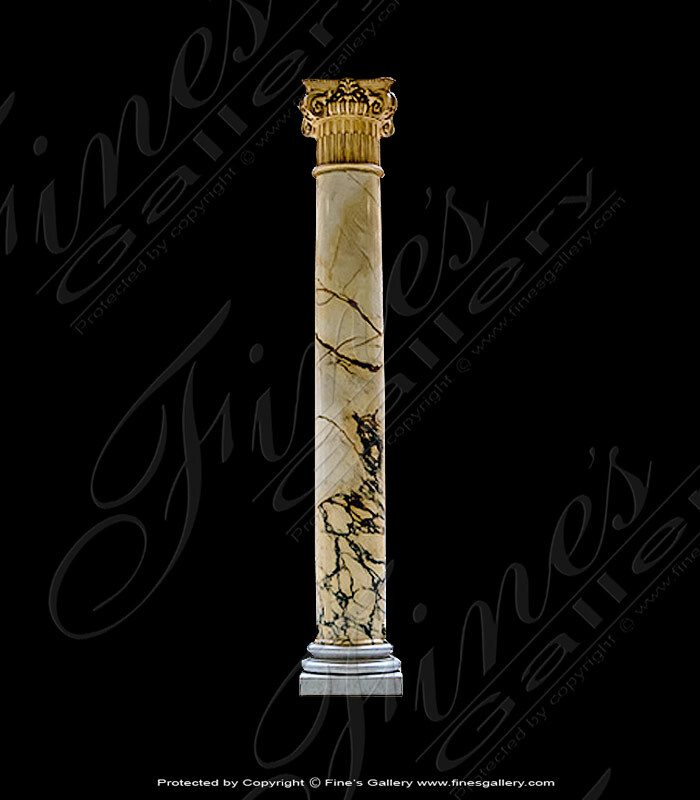 The description for this beautiful Marble Column is not available at this time. If you require additional information for this product please call 1-866-860-1710 and talk with a sales representative at anytime. 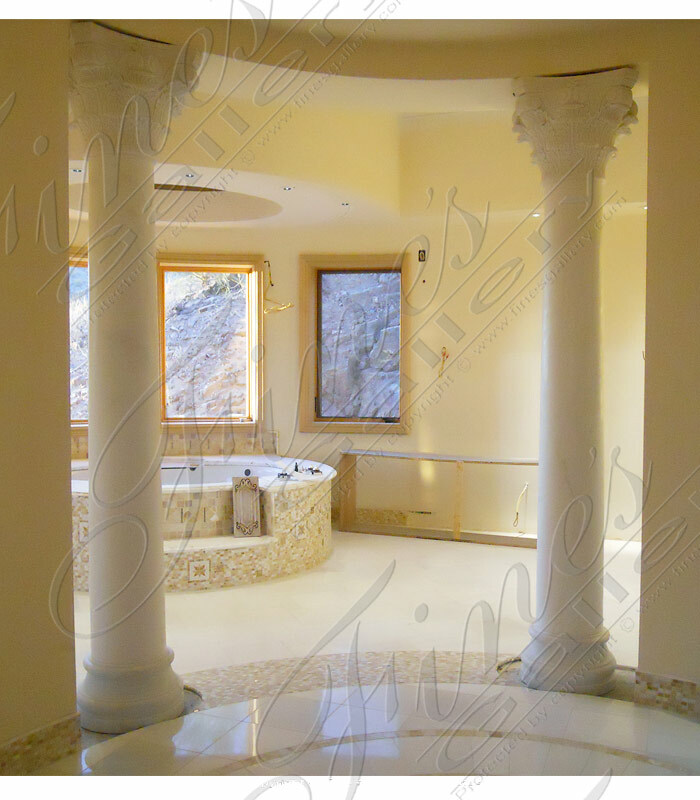 Egypt Cream and Italian Portoro Marble Columns. 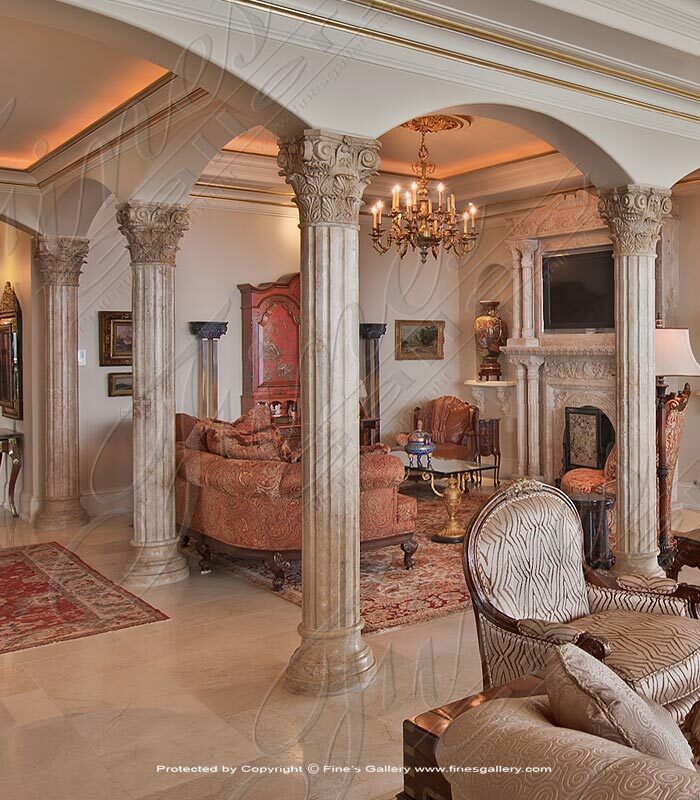 This gorgeous columndisplays an impressive combination of contrasting marbles to make this ornate design. Elegant black rectangles are set within the light tan square shaft, complimented with ornate caps. 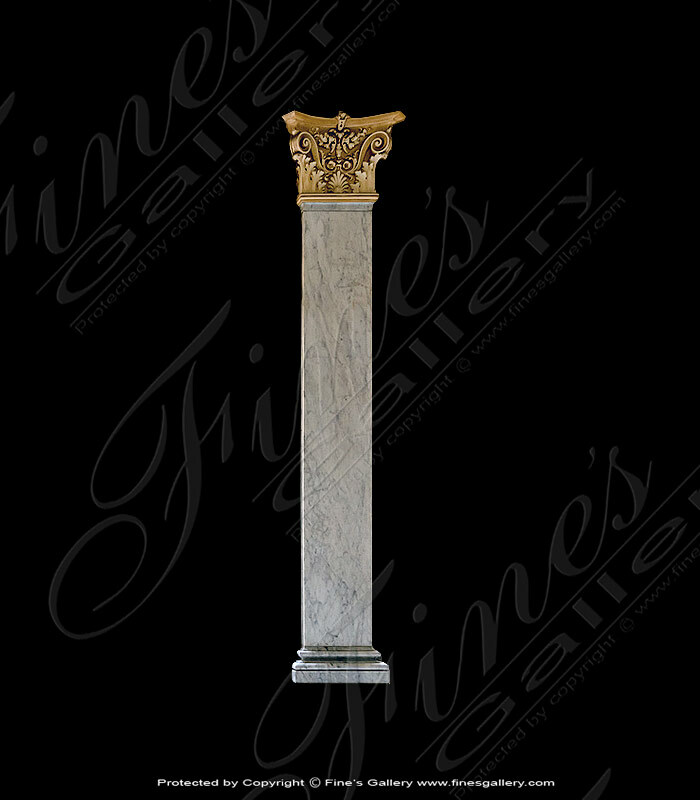 Verdi Nuvoloso marble column with antique white marble cap. A beautiful two toned marble pilaster available to be made to size. 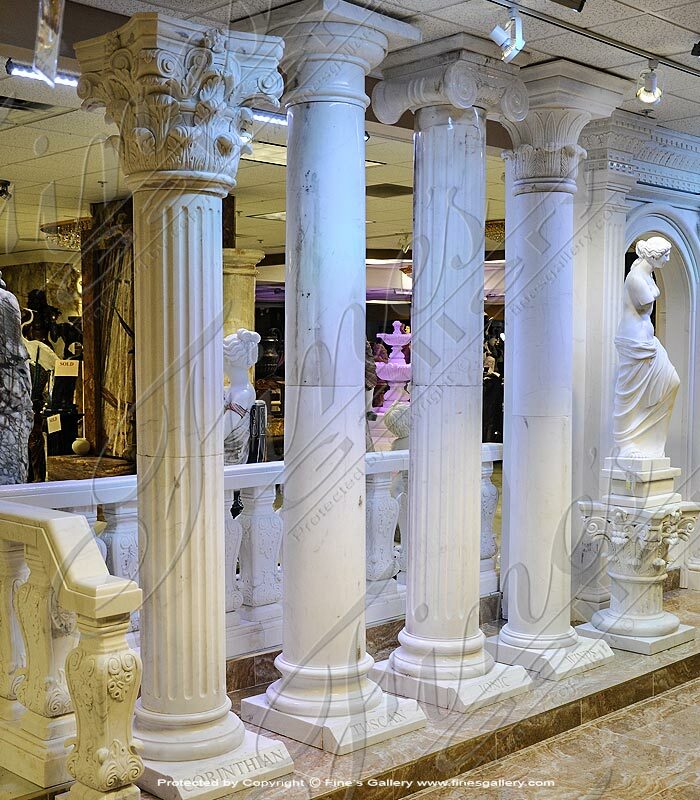 The Carrara Corinthian Column is a beautiful masterfully carving. Available in polished or honed, solid or hollow. 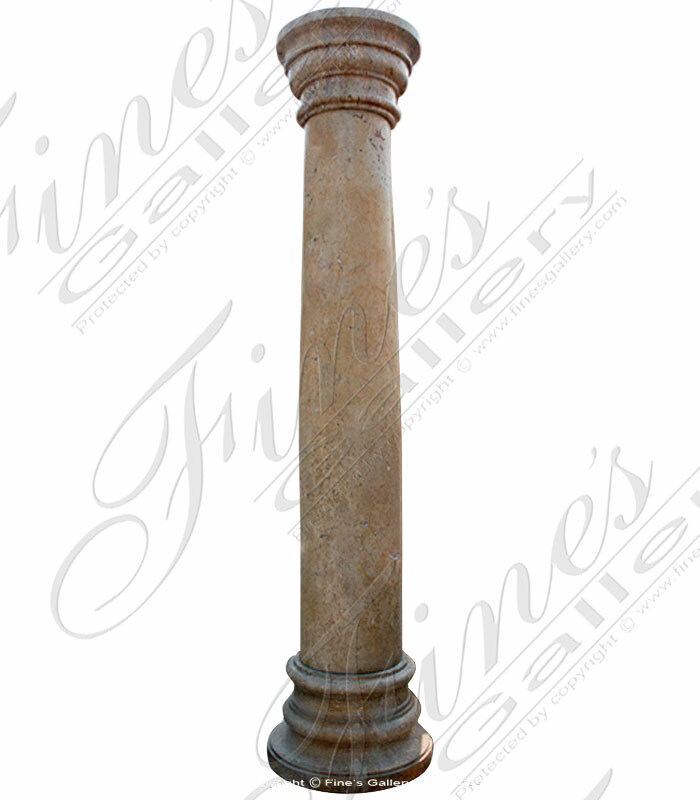 Enhance the beauty of your architectural project with this tuscan marble column. Each one is sculpted from fine marble in natural tones of tan and reddish brown with a simple design. Contact us today for personal sales assistance. 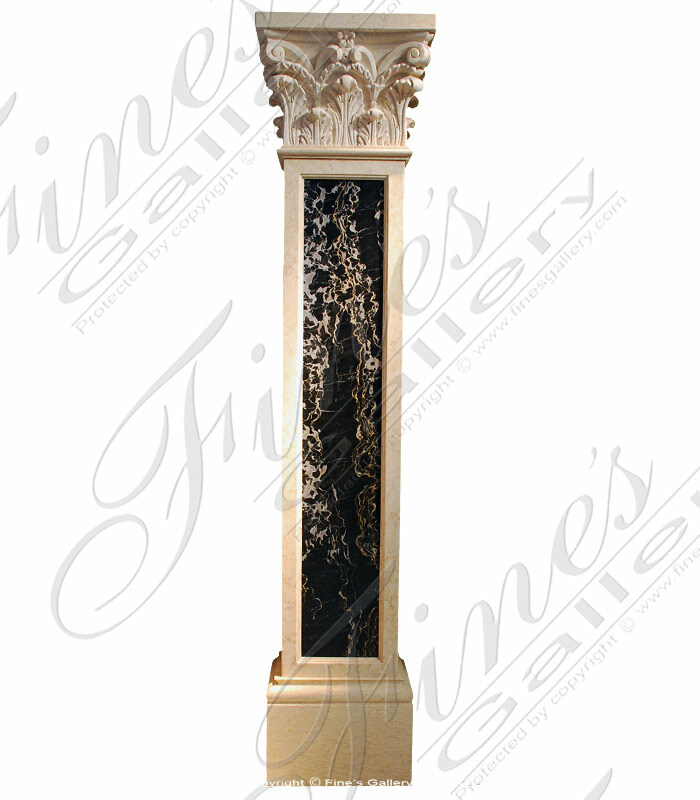 This beautiful polished black marble column is an example of our fine work. Marble Columns and wrought iron gate. 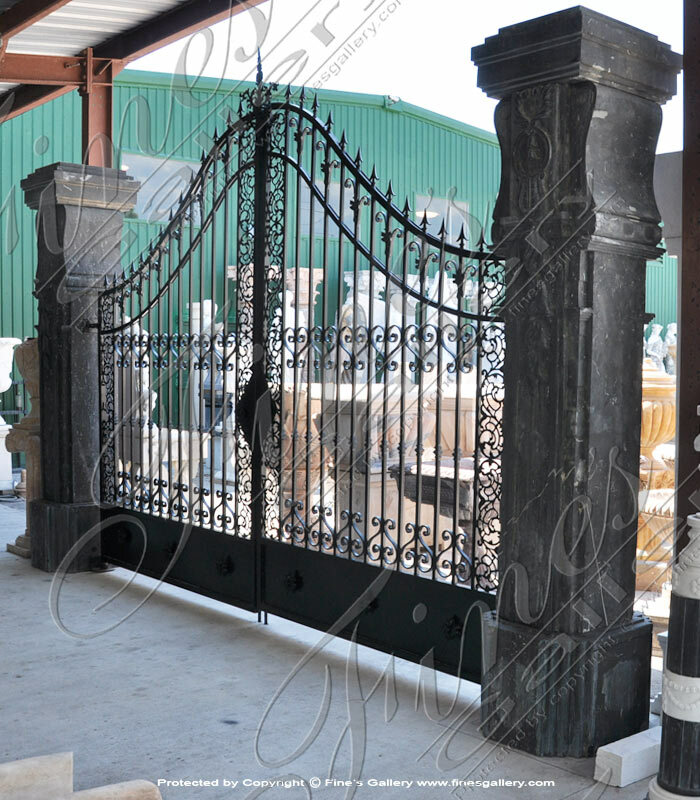 Contact us today for a custom designed wrought iron gate. 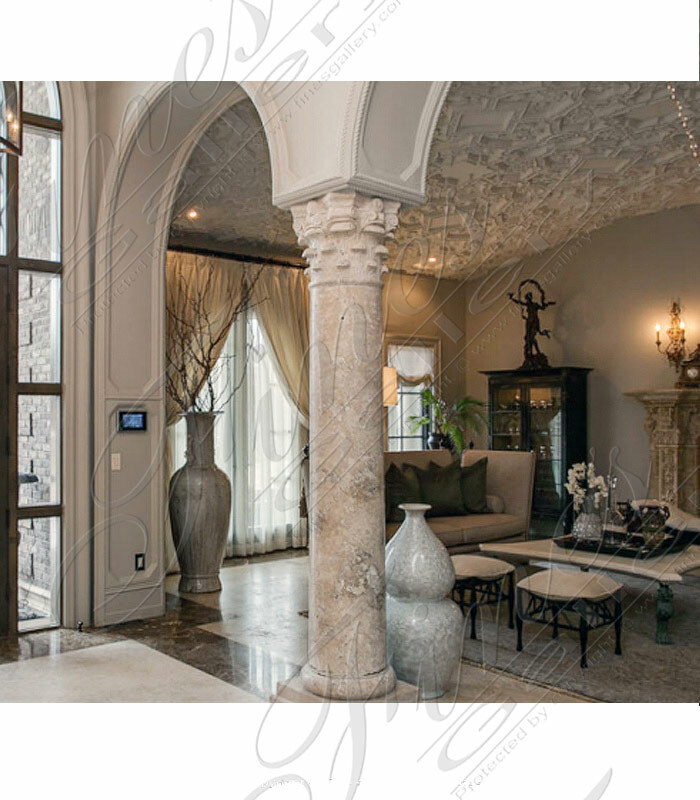 Incorporate natural stone pillars for a grand entrance to your estate. Our designers will draw them to match your architectural elements. 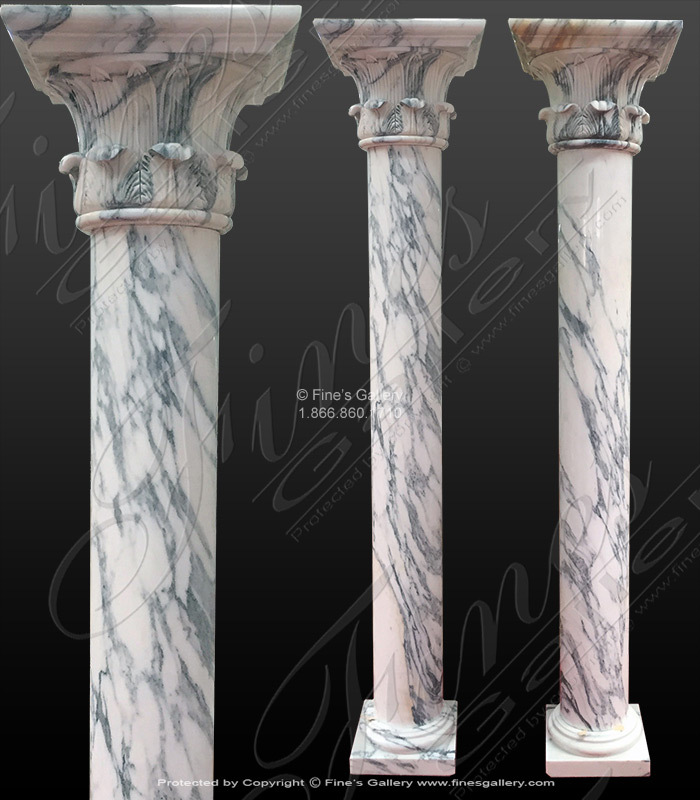 Stunning arabascato marble columns. Capitals carved in temple of the winds style. 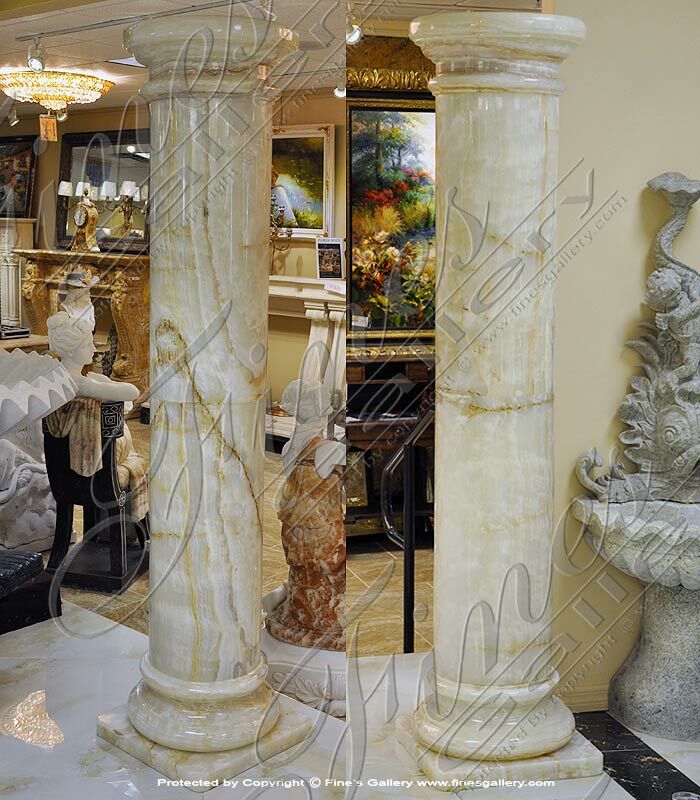 Italian White Carrara Marble Columns. 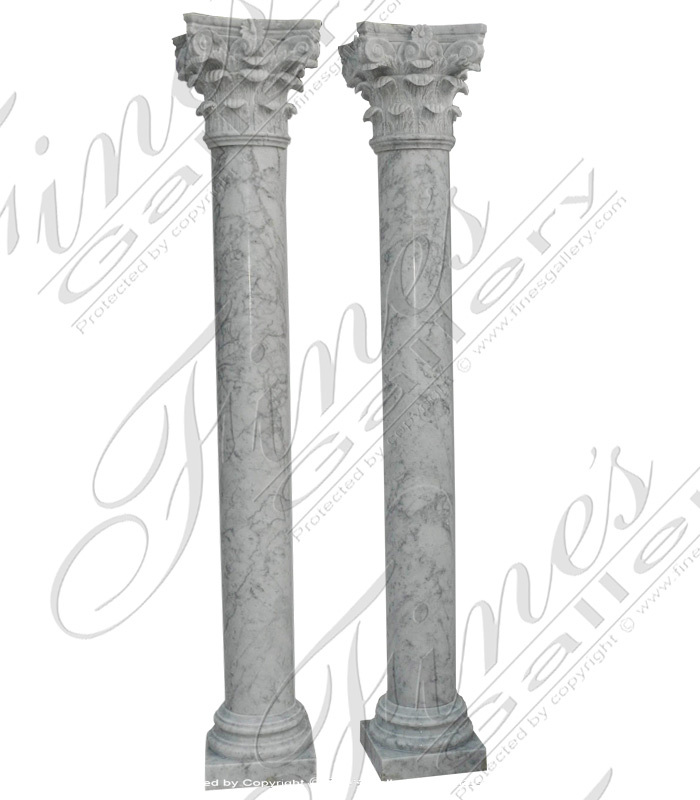 Ancient roman style solid marble columns with corinthian style capitals. Manufactured to install in your decorative or structural application. Our architectural marble products are available honed or polished. 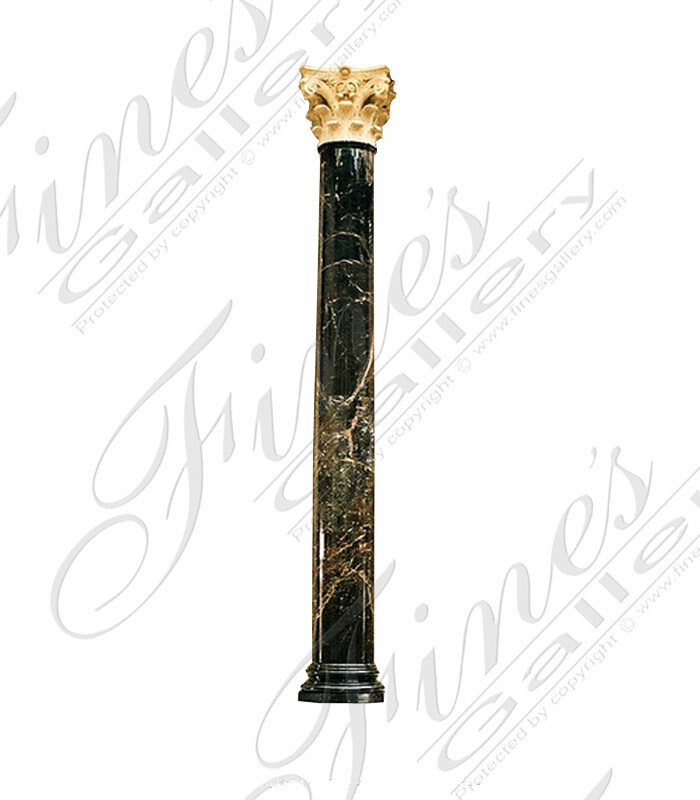 The green marble column shown here is hand carved from an enchanting greenmarble. 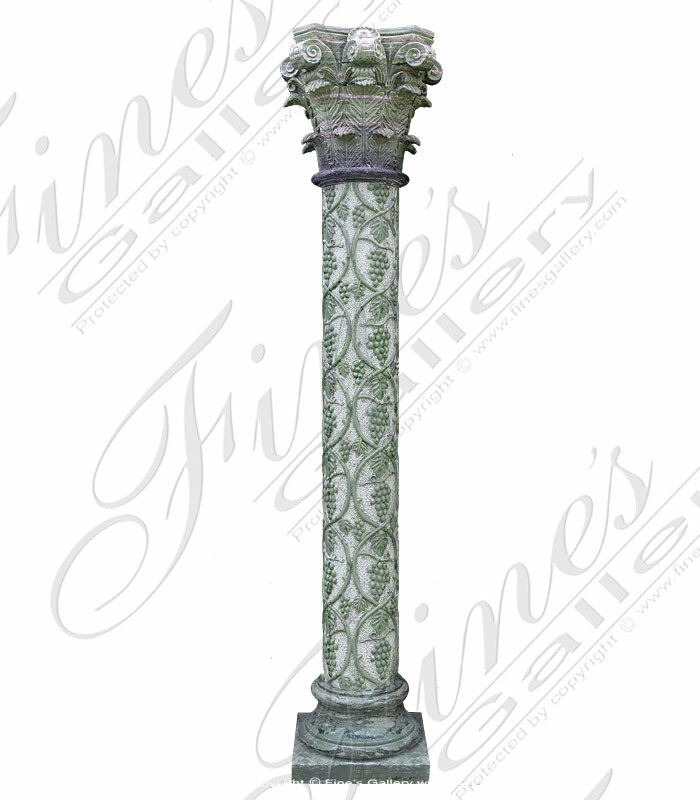 This intricate column is detailed with grape leaves and vines on the shaft. It is finished off with a magnificent Fleur cap to bring this meticulous structure its beauty.